A beaded dress worn by Catherine Deneuve when she first met Alfred Hitchcock in 1969 are among dozens of glamorous gowns up for auction in Paris, where the French actress is due to part with her Yves Saint Laurent collection. 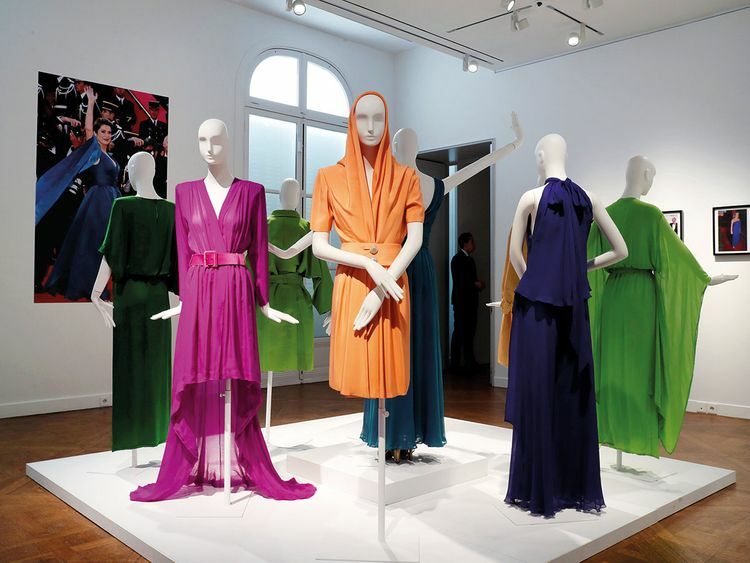 Close to 130 one-of-a-kind styles crafted by the late designer for Deneuve, a close friend, will go on sale at Christie’s on January 24. They include red carpet looks like a shimmering gold number worn by Deneuve to the Oscars, which is expected to fetch between €2,000 to €3,000 (Dh8,345 to Dh12,518). 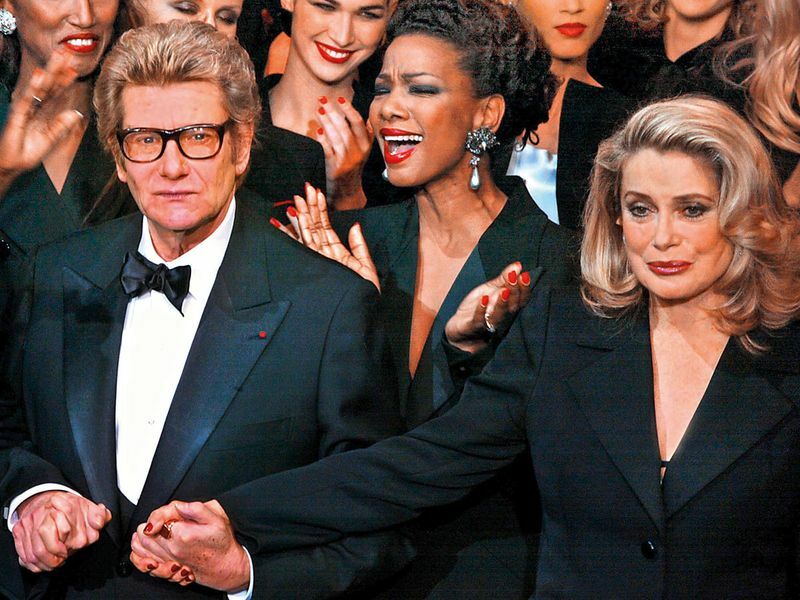 Saint Laurent — one of the 20th centuries’ most influential designers, who popularised tuxedos for women, or ‘Le Smoking — died in 2008. He and Deneuve met when the actress was only 22, and remained close. “She was there during all the important moments of his career, in the first row of the audience at fashion shows he would kiss her right after he’d taken his bow,” said Camille de Foresta, a sales coordinator at Christie’s. Aside from the lot of 130 ‘Haute Couture’ looks, a further 170 items will be on sale in an online auction between January 23 and 30.